Derech Emunah is a Jewish High School for girls looking to learn, grow, and lead. 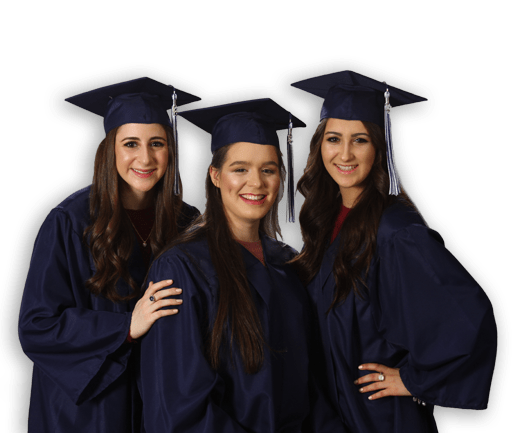 We prepare young women for seminary, university, and a life of service to Hashem and the community. Derech Emunah provides a thorough education in the Sciences and Humanities, as well as an immersive program in Limudei Kodesh. Students graduate well equipped to enter college, seminary, and professional programs in keeping with their interests and goals. DE students grow socially through learning experiences outside the classroom by attending international school conventions, Shabbatons, and group trips with their teachers and head of school. At DE there is an active student council, as well as student-led performances and programs throughout the year. Every student has a chance to develop her own skills and talents and to shine. Throughout the school year DE students have regular opportunities to participate in group and individual chesed projects benefitting our local community. "I can be a lot more assertive in class."